KAMPALA – KCCA FC dug themselves a deep ditch, losing 3-0 to Congolese side Otoho in the first leg of the 2018/19 CAF Confederations Cup play-off round. Unlike in the last round, Mike Mutebi’s side now face a huge task of trying to win by four goals without conceding so as to make it to the group stages of the competition. 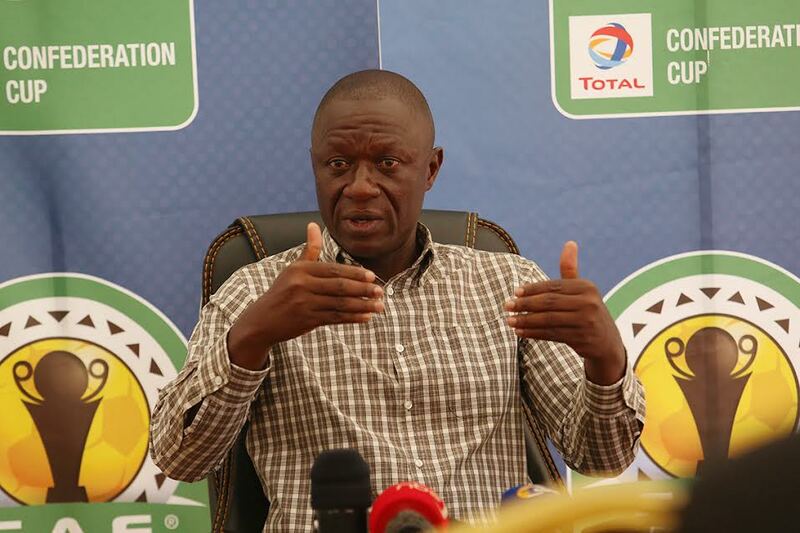 Speaking after Sunday’s defeat, Mutebi said he is confident his side can overturn the deficit and eliminate their Congolese counterparts but also conceded that they would have to play better. “It is not over, they (Otoho) were just effective in the final third but we were not outplayed at all, said Mutebi. “We did not come here to play a containing game that is why we were attacking so even when we go back home, that is how we will play but we will try to be more effective with the chances we will get. “Hopefully, we will score the required number of goals and progress to the group stages. KCCA will be confident going into the return leg as they have won all of their six CAF Confederations Cup home games, scoring 14 and conceding only four goals in the process. However, none of the six victories have come by a 4 goal difference with the highest being the 3-0 win over Mtibwa Sugar in December. For Otoho, they will come into the game trying to protect their advantage but will have to be cautious after failing to win in any of their three continental away fixtures (D1 L2). In one of the loses, they went down 9-0 to MC Alger of Algeria in February last year. The return leg will be played on Sunday, 20-01-2019 at the StarTimes Stadium in Lugogo. The other Ugandan representative in the competition, Vipers SC, will be away to Tunisian giants-CS Sfaxien a day before. Vipers and Sfaxien drew 0-0 at Kitende on Saturday afternoon.